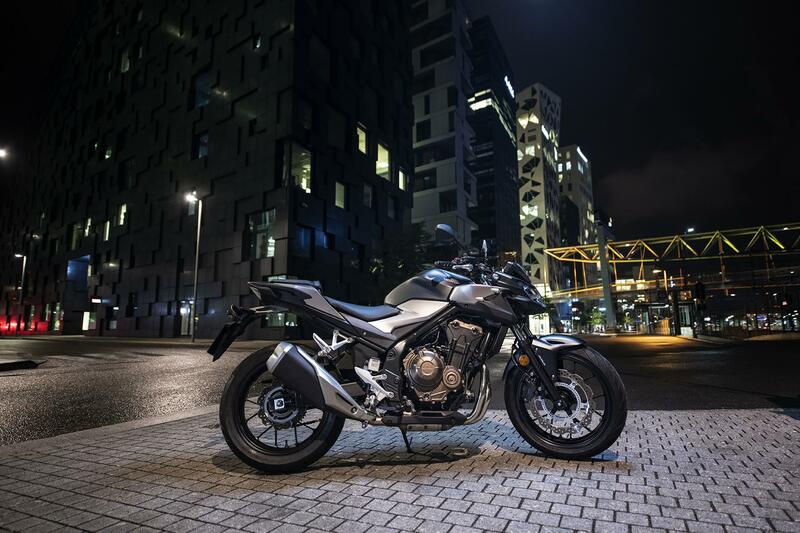 With its extra grunt, weight loss, big-bike build quality and refinement the new Honda CB500F is anything but a cheap and cheerful workhorse, or stepping stone to better things. 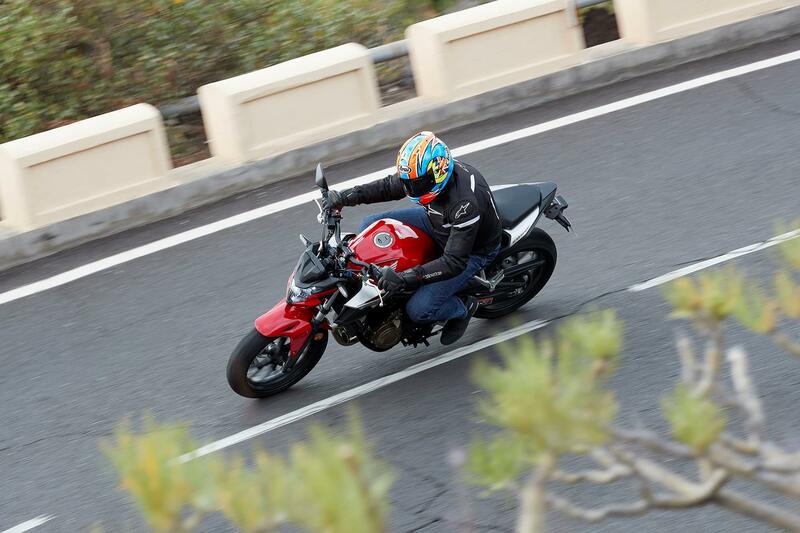 Whether for the daily commute, weekend fun or your first taste of life without L-plates, it’s a simple, but vibrant, involving machine in its own right - practical, easy to ride, fast and thrilling. It’s not lacking in power on everyday roads, or poise in the corners and is thoughtfully lavished with the kind of touchy-feely quality and detailing that makes you realise that Honda really does care. Arms, legs, wrists, neck and bum (knees and toes) all get a easy time on the long haul and with a seat height of just 785mm and squishy suspension, it’ll be easy for most to get their feet anchored down at a standstill. A new slip and assist clutch is the smallest ever fitted to a Honda and is 45% lighter at the lever. Gears now feature nine smaller ‘dogs’ instead of six for a slicker changes, but it sometimes finds a false neutral if you hammer the revs between first and second. Showa forks have new progressive springs (soft at the top and bottom, hard in the middle) and there’s a new single tube rear shock. 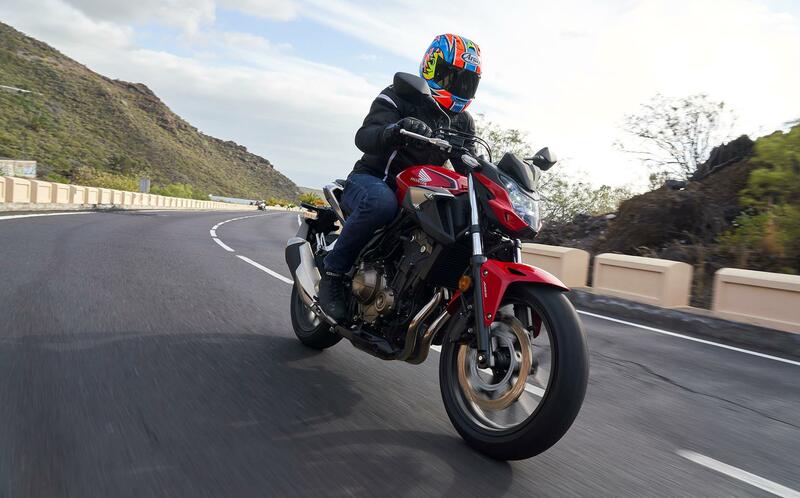 Ride quality and overall balance is spot on and the CB500F manages to keep its composure when pushed hard. Michelin Pilot Road 5 tyres are grippy, wet or dry. A single disc front brake set-up is friendly and won’t have you rolling over the bars when you yank on the lever, but stopping power is there when you really need it, especially if you stamp on the back brake too. A new ABS pump has less intrusive settings and automatically flashes the hazards as it starts to lock. 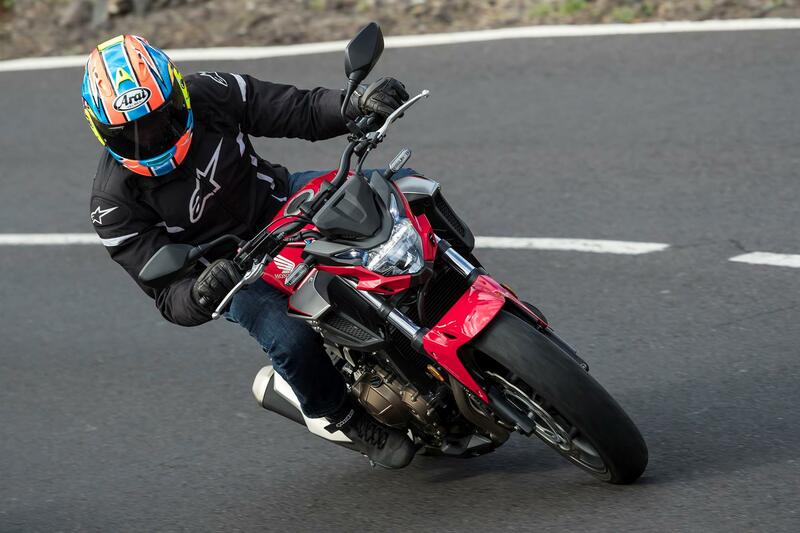 Peak power remains at the allotted A2 licence-friendly 47bhp, but beneath that power ceiling is a bubbling cauldron of grunt…relatively speaking, of course. A 4% gain in power and torque comes from new inlet cam timing, a bigger airbox and straighter inlet tracts. 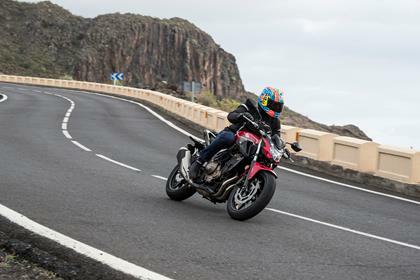 The extra midrange boost is amplified by new mapping that’s slightly less ‘top-endy’ than the 2019 CBR500R’s and a 2kg weight loss, gained from lighter gears and subframe, a smaller battery, ABS pump and thinner plastics. A wider, friendlier spread of power gives the parallel twin cylinder motor the feel of a bigger bike, but its delivery and soft throttle pick-up would make a Blade’s green with envy. 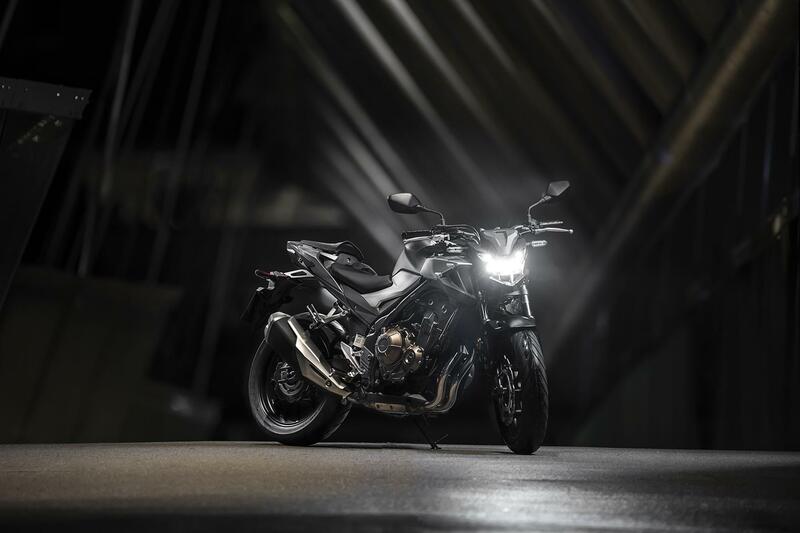 Newer riders will feel immediately at home, but it’ll impress with those who just want a light, fun, sub-six grand naked, too. 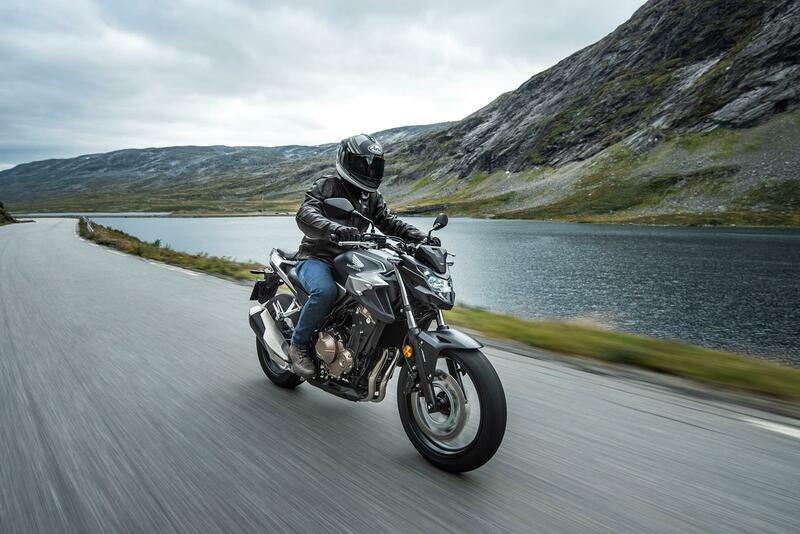 Check out our CB500F online owners’ reviews and you’ll see just how reliable and easy to live with it is. Problems are few and far between. 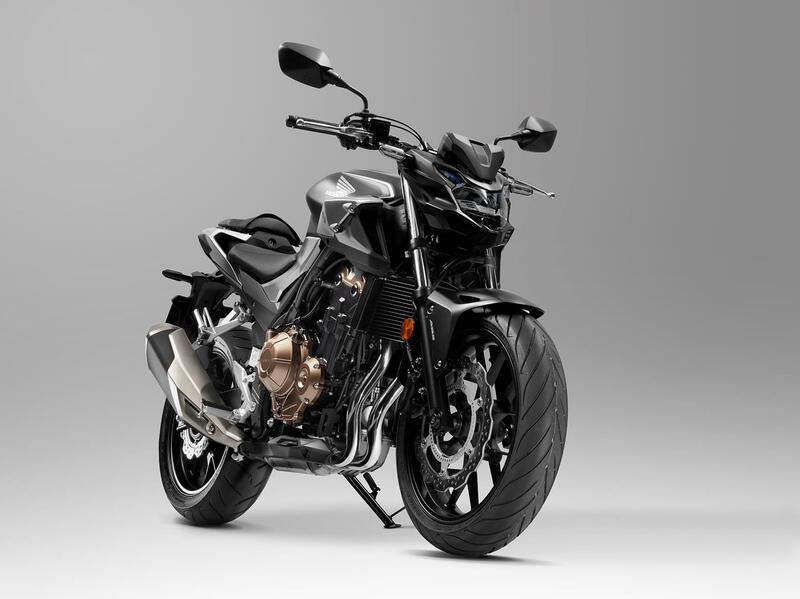 With its aggressive creases and sharp edges the CB500F’s new bodywork, drenched in deep paint, has more than a sophisticated air of Italian design about it. The general finish, including the engine and Autosol-shiny exhaust headers, are more like you’d get on a 10 grand super naked, let along a machine costing nearly half that. How’s this for detail? The back edge of the front mudguard is lipped to deflect air over the Euro 4-compulsory reflectors. Honda fits a normal mudguard to non-reflector bikes. An aggressively angled new exhaust can features revised internals and twin exit pipes. It gives the parallel twin cylinder engine a dark, rumbling soundtrack on the throttle and a gentle race bike-like pop and bang on the overrun. 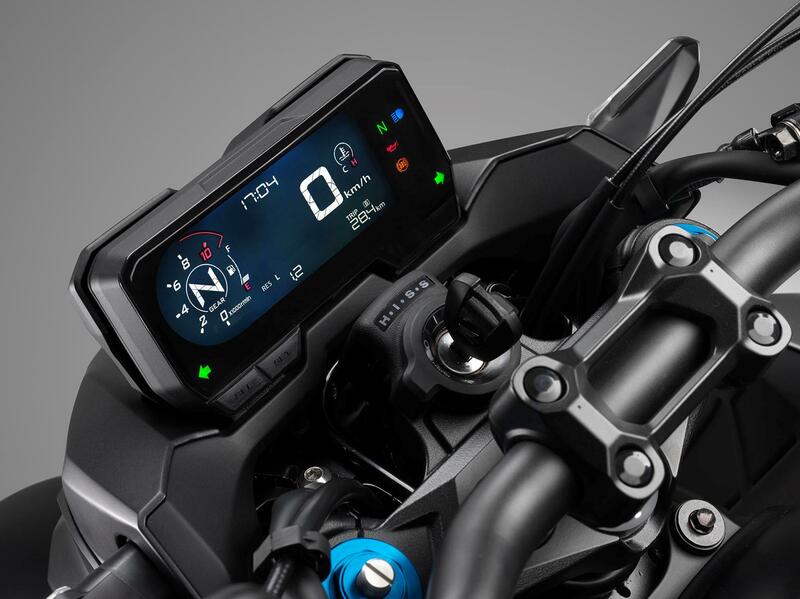 All 2019 CB500 models get the same new digital dash, but on the CB500F it also acts as your only defence from the wind (it doesn’t do a bad job). A gear position indicator has been added for the first time, along with fuel consumption info. 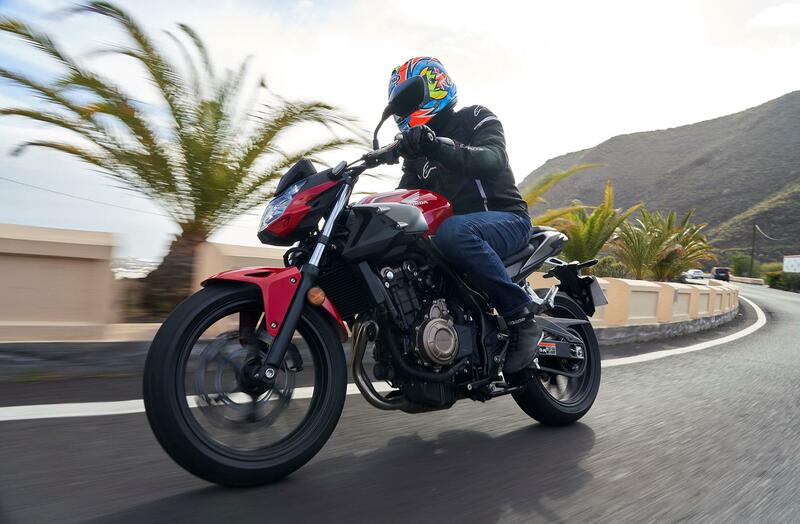 2013: Original parallel twin-cylinder CB500F launched to take advantage of new 47bhp A2 licence regulations. 2016: Styling, suspension and airflow tweaks, wider bars, larger fuel tank, hinged fuel cap, adjustable front brake level, redesigned seat, LED lights and preload adjustable suspension. 2019: Sharper styling, 4% more grunt, new slip and assist clutch, revised fork internals and new rear shock, refined ABS settings, new LCD dash and exhaust can. 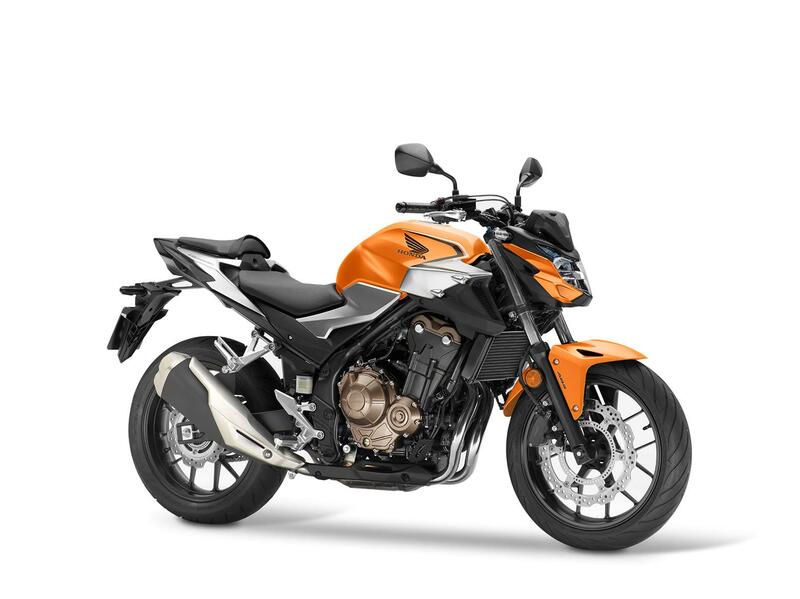 No owners have yet reviewed the HONDA CB500F (2019-on).